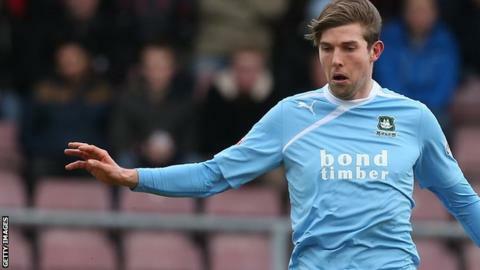 Dominic Blizzard's strike was enough to defeat Luton Town and earn Plymouth Argyle a third win in six league games. Blizzard scored with a fine 68th-minute shot after showing quick feet on the edge of the box to settle an open game. Both sides created good chances, with Argyle goalkeeper Luke McCormick making fine saves from Luke Guttridge and Jake Howells and Mark Tyler denying Lewis Alessandra, Blizzard and Reuben Reid. But after Blizzard's goal the home side struggled to create clear openings. Steve McNulty did shoot wide in injury time and the home side earlirer thought they had won a penalty when Guttridge went down in the box but the appeals were ignored. John Still's Hatters, promoted back up from the Conference in April after a five-year absence, have now not won in League Two since the opening day of the season. "I was pleased with how we played in the first half. It was a bit more even in the second half. "If you watched our first-half performance we should have done enough to win. "Our players were disappointed at half-time. They felt there was a sending off in the first few minutes for handball." Match ends, Luton Town 0, Plymouth Argyle 1. Second Half ends, Luton Town 0, Plymouth Argyle 1. Attempt missed. Steve McNulty (Luton Town) right footed shot from outside the box misses to the left. Foul by Jim Stevenson (Luton Town). Corner, Luton Town. Conceded by Curtis Nelson. Substitution, Luton Town. Jim Stevenson replaces Andy Drury. Attempt missed. Dominic Blizzard (Plymouth Argyle) right footed shot from the centre of the box is close, but misses to the left. Attempt missed. Ross Lafayette (Luton Town) right footed shot from outside the box is close, but misses to the right. Ross Lafayette (Luton Town) wins a free kick on the right wing. Corner, Plymouth Argyle. Conceded by Paul Connolly. Corner, Luton Town. Conceded by Kelvin Mellor. Substitution, Plymouth Argyle. Deane Smalley replaces Alex Bray. Substitution, Luton Town. Alex Lawless replaces Jake Howells. Goal! Luton Town 0, Plymouth Argyle 1. Dominic Blizzard (Plymouth Argyle) right footed shot from the centre of the box to the bottom right corner. Assisted by Lewis Alessandra. Attempt missed. Dominic Blizzard (Plymouth Argyle) right footed shot from outside the box is close, but misses the top right corner. Corner, Plymouth Argyle. Conceded by Alex Lacey. Alex Bray (Plymouth Argyle) is shown the yellow card. Alex Lacey (Luton Town) wins a free kick in the attacking half. Foul by Alex Bray (Plymouth Argyle). Substitution, Plymouth Argyle. Alex Bray replaces Jason Banton. Attempt missed. Carl McHugh (Plymouth Argyle) header from the centre of the box is close, but misses to the right. Corner, Luton Town. Conceded by Carl McHugh. Attempt blocked. Lewis Alessandra (Plymouth Argyle) right footed shot from the right side of the box is blocked. Second Half begins Luton Town 0, Plymouth Argyle 0. First Half ends, Luton Town 0, Plymouth Argyle 0.